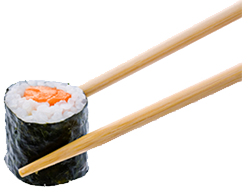 DancinWok has a great range available at wholesale pricing including sushi rolls, naked (reverse) sushi rolls, temaki, hand rolls & cocktail rolls. This includes a range of different sizes, package and labelling options . We can custom design to suit your need. Talk to us about how to get on board and supply your customers with great healthy food. We can even provide branded merchandising fridges, free of charge! Just ask us how to qualify, it’s easy.